The Best Seat Covers Money Can Buy! Clazzio now offers a FULL FACE NAPPA LEATHER option, which is our only kit with a Full Leather Face. The Classic line has four choices for the Insert (inside area); Perforated Genuine Leather which comes with a 3 Year Manufacturers Warranty. The other options are Artificial Suede, Quilted Vinyl "Diamond Stitch", and Perforated FULL PVC . The outside area (body) of ALL Clazzio kits is made of a soft Automotive Grade Vinyl which gives you flexibility for the installation. 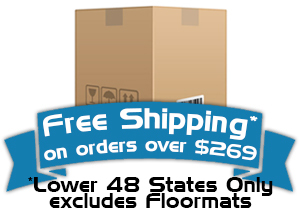 They are treated with anti bacterial, and flame resistant coatings. 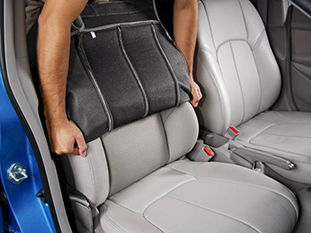 15mm of memory foam is used in the cushion for added comfort during long hours of driving. 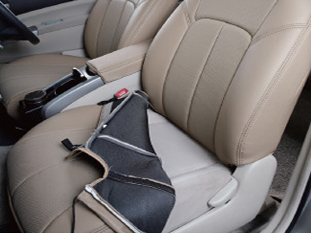 Clazzio Leather Seat Covers are made of tough materials, suited for the harsh conditions of a vehicle's interior. Quilted, Suede, and Full PVC come with a 1 Year Manufacturers warranty. 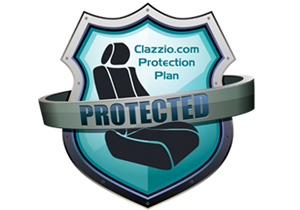 So whether you want to cover up old worn out cloth seats, or upgrade your seats like a factory leather package, Clazzio's Got You Covered! "I bought your covers for My 2017 Tacoma. 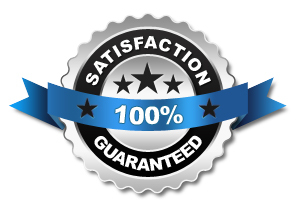 They are hands down, THE BEST seat covers I have ever bought, lived with, used, installed... I added heated seat to my pick up which changed my life thanks to you! Anyway... Just wanted you to know you have a seriously happy customer. AND no one even knows they are covers, they fit so well they look like factory seats ;-)"
"Just wanted to give some feedback on my recent purchase. After researching several brands of covers I went with yours. All I can say is "A great product" that I found very easy to install. 3 hours and a little determination they were installed front and rear on my 2016 Honda CRV. They look like factory leather once installed. The fit is like a glove. I really like the zippered sides on the backrest sections. I believe they helped make the install much easier. All I can say is money well spent. Thanks Clazzio.com"
"Wow! Got the covers via FedEx this afternoon. My wife absolutely loved the center console tribute to our deceased son. The headrests are beautiful. You really did a nice job and we couldnt be happier! Now, if the weather here in NJ would only get warm. I cant wait to get the seat covers on. Thanks so much for your hard work and time emailing me back and forth to get it just right. You guys at Clazzio are awesome!!" "Thanks for a great product. I installed the covers with no issues. My friends can not believe that these are covers. They really do think that they are factory installed leather seats. I am 100% satisfied"
Why Buy Directly From US at Clazzio.com? + 2014-2018 Toyota 4Runner 2 row NOW AVAILABLE FOR PRE ORDER!!! + Clazzio Test: Spilling water on the perforated leather. What Happens? + 2016 Toyota Tacoma Clazzio now available for PRE ORDER! + 2013-2015 Honda Civic Clazzio NOW AVIALABLE for PRE ORDER! + 2016 Toyota Prius Clazzio Now Available for Pre Order! + 2014-2015 Toyota Corolla, and 2015 Honda Fit now available! + Clazzio now available for 2014-2015 Toyota Tundra!!! + You can now TRACK your order status! + RED BODY IS NOW AVAILABLE at NORMAL CUSTOM COLOR COST!! !